LANCASTER—Even though it looks like the weather will be nice for the Thanksgiving holiday, winter is on the way. Soon, 60 degree temperatures will be a thing of the past. Local members of the Oncor Diversity Council are preparing for the cold by holding a coat drive. 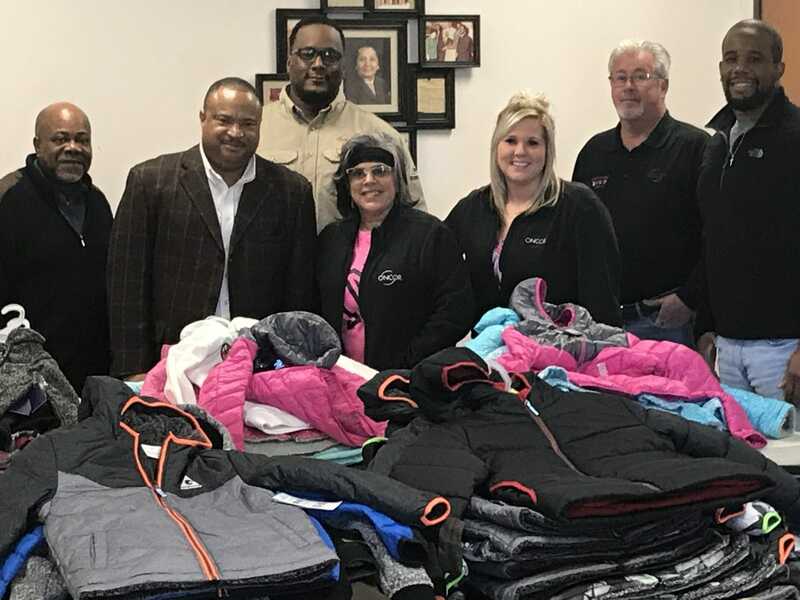 Oncor Diversity Councils for DeSoto, Lancaster (SOSF), Waxahachie and Dallas (Oak Cliff) delivered more than 100 children’s coats to the Church of Christ at Cedar Valley on Monday. Each year Oncor employees and community partners raise money and solicit coat donations to benefit less fortunate families throughout Southern Dallas County. Oncor has remained committed to the communities that it serves not only in name, but in action as well. “It’s the small gestures that can make a big difference in the lives of others” says Area Manager Kenneth Govan. 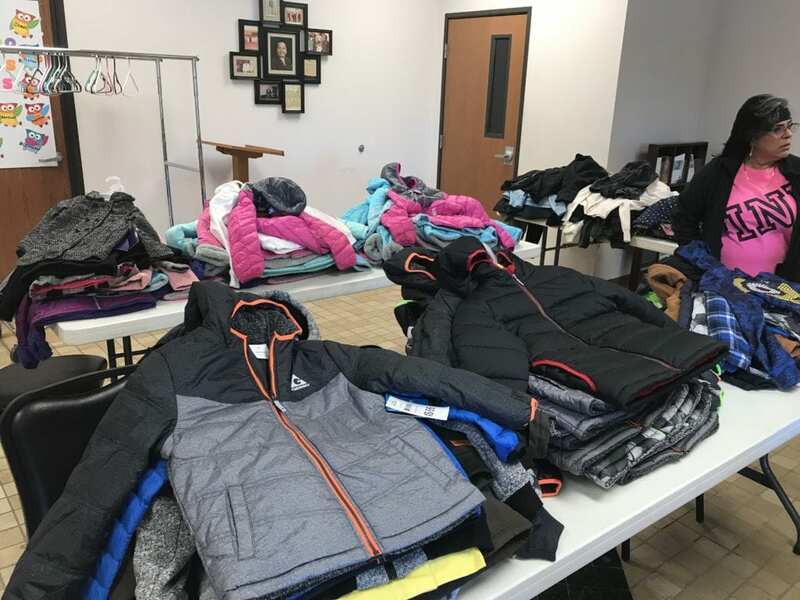 Church of Christ Pastor Samuel Bailey has been elected to distribute these items to those in need in the surrounding Lancaster community and beyond. The congregation started in 1987 has a long history of community service. Attending Diversity Council members (pictured from left) were: Kenneth Govan, Kevin Ford, Anna Bazan-Parker, Chelsea Land, Rick Owens. They are flanked joined by Larry Crawford and Pastor Samuel Bailey of the Church of Christ at Cedar Valley. Not all council members were in attendance due to schedule conflicts during the Thanksgiving Holiday. Oncor is a regulated electric transmission and distribution service provider that serves 10 million customers across Texas. Using cutting-edge technology, more than 3,000 employees safely maintain the largest distribution and transmission system in Texas. Oncor boasts approximately 121,000 miles of lines and more than 3.3 million meters. Previous articleTrending in December: Ebenezer Scrooge!